Gold is currently one of the most investor-friendly commodity plays out there. 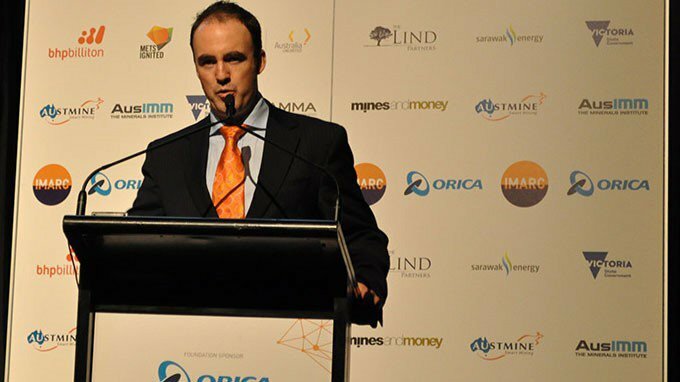 Gold prices, gold producers and gold demand, are all raising their game at the same time, and providing junior gold companies like Blackham Resources (ASX:BLK) with the nutrition to flourish. 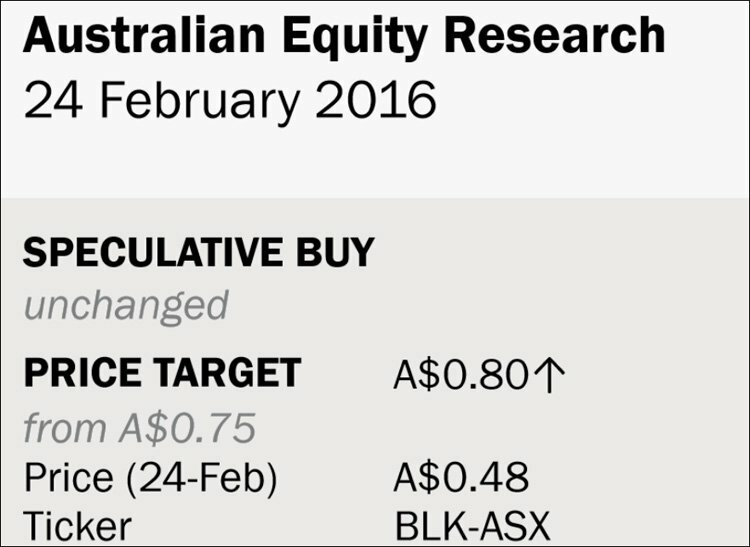 BLK could not have really timed its run any better, as it is now official – BLK is Australia’s newest gold producer. Now that this all important milestone is out of the way, BLK will be focused on getting to its target Stage 1 production of 100,000 oz. per year, and planning for the Stage 2 target of somewhere between 175,000 oz.pa up to 230,000 oz.pa. With a current valuation of around $43 / resource oz. BLK appears only to have room to grow, and climb the ladder of Australian gold producer valuations. Of course, as with all junior miners, this is a speculative investment, and a successful outcome for an investor is never a guarantee. Seek tailored professional financial advice before making an investment. In this article, we intend to run through all the latest (and greatest) news coming out of BLK — and there is a lot to pique your interest given BLK’s performance to date. BLK is a Next Mining Boom success story. 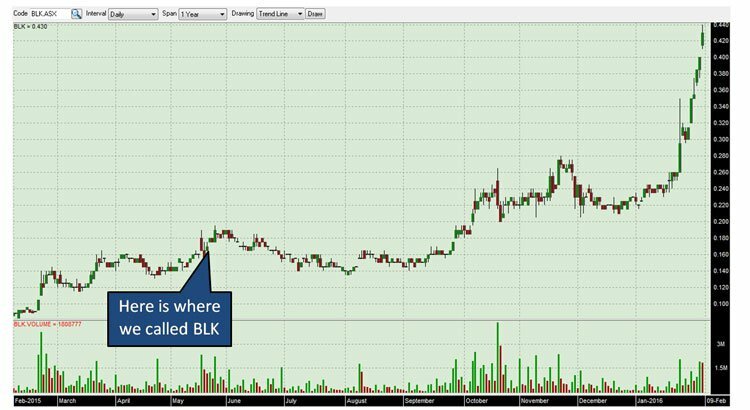 Since our initiation article titled, “ ASX Junior to Unleash 100koz pa Gold Machine: Funding Now Secured ” back in May 2015, BLK’s share price has gone from 16.5 cents to as high as $1.17. That’s a rise of over 600%. BLK has been on a steady course of growth backed by its gold intentions and subsequent delivery of expected targets — and there could be even more nectar for BLK bulls. BLK is gradually transforming itself from an early-stage gold explorer to a fully-fledged gold producer that is now fast tracking its expansion plans, both in terms of its Wiluna Gold mine output and overall Resource it has under its belt at the Matilda Gold Project. ...and now it’s back in our crosshairs given its maiden gold pour is complete, whilst not forgetting to keep its Resource exploration ticking along in terms of high-grade assays. All in all, we think BLK has legs to go a lot further. 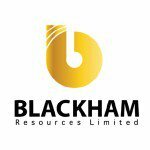 Blackham Resources (ASX: BLK) is setting a glowing example to the wider market as to what is possible in precious metals commercialisation. Its performance has been fuelled by a strong revised DFS from June 2016 that defined 7Mt in Total Reserves @ 2.5g/t for 560,000oz Au. Whilst that may sound promising, we should remind readers that investing on price targets set by analyst alone is not recommended – a number of assumptions are made in arriving at these price targets, which may not eventuate. At the same time, analyst price targets are no guarantee to come true – so don’t only consider this price target if considering an investment in BLK – please do your own research before making an investment decision. BLK’s Matilda Gold Project is located in Australia’s largest gold belt stretching from Norseman through Kalgoorlie to Wiluna. 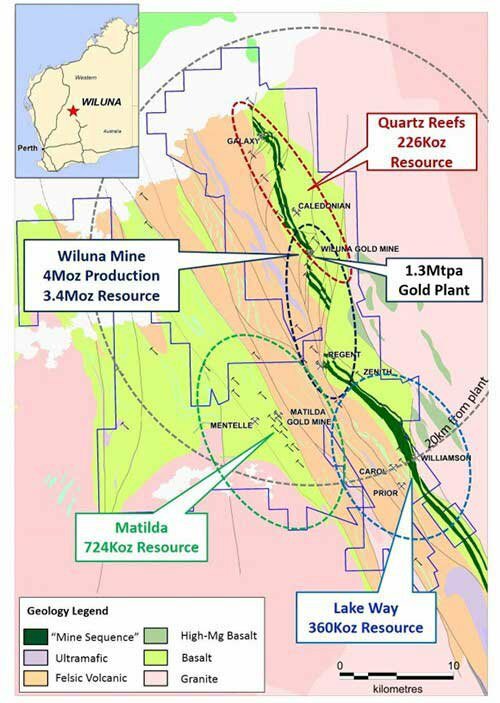 BLK’s 100% owned Wiluna gold plant is located in the centre of the Matilda Gold Project spanning 860km 2 with the ability to process up to 1.7Mtpa or ~100,000oz per year as part of Stage 1. Here is a summary of BLK’s territory, with its two prime working areas highlighted in yellow — the Wiluna Gold Mine and the Matilda Project. BLK’s latest Resource estimate at Matilda has achieved a JORC Resource of 48Mt @ 3.3g/t for 5.1Moz Au. That’s an improvement of 2Mt since our last article in June 2016, and the all-important Measured and indicated category now totals 22Mt @ 3.4g/t for 2.4Moz. As you can see, BLK is not resting on its laurels with its Mining Inventory seeing a 1Mt boost and a further 100,000oz expected production since publishing its DFS in February 2016. BLK is currently drilling aggressively aimed at further mine life growth. The initial mine life has also been raised by 1 year. Possibly most importantly, is that its C1 cash costs are also playing into BLK’s commercial aspirations, seeing a fall from AU$1,160/oz. to AU$1,120/oz. 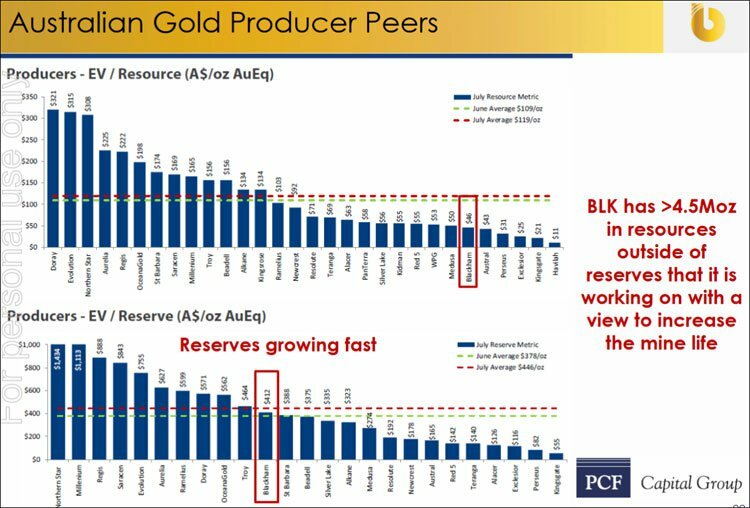 BLK is one of the lowest-cost gold producers currently on the ASX. If BLK is able to substantiate its ambitious plans, there is no reason why it cannot grow into a feisty mid-cap gold producer over the coming years. Of course, there is no guarantee BLK will grow into a mid-cap gold producer, unforeseen and unpredictable events can happen at mines. Always invest in speculative stocks with caution, and consider your own personal circumstances and risk profile before investing. The across-the-board improvement in resource size, exploration potential and production costs is adding yet more momentum to BLK. Open pit mining has also commenced at Matilda with underground development work conducted in tandem. Open-pit mining is now in full swing at Matilda, and BLK wants to tighten up the cost-structure here too, by optimising over a dozen open-pit prospects with the aim of making them economically viable at AU$1,400/oz . These are just the initial steps that will generate a flow of cash flow now that production is underway. Over time, BLK will be ramping Stage 1 production up to ~100,000oz per year. The open pit mine plan currently comprises 5.8Mt @ 1.7g/t for 324,000oz of shallow free milling ore. This will be extracted over the coming 4 years . At the same time, BLK will be working hard to make further resource upgrades and convert over 4 million ounces of resource currently outside the mine plan to support the Stage 2 expansion. One of the most commercially-opportunistic aspects of BLK’s recent exploration activity is that previously Matilda has only been drill tested up to a 300m depth below surface. BLK’s recent results indicate that this underestimates the true potential at Matilda. Matilda is a large mineralized system which remains open at depth and significantly, shows long-term potential for underground mining. 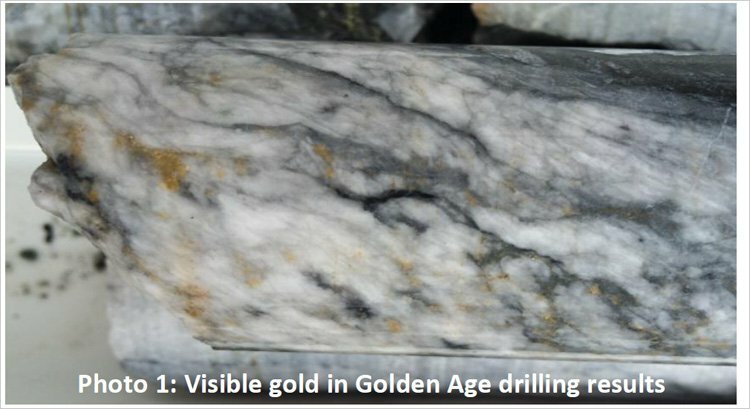 The most recent extensional drilling at Matilda prove continuity of mineralisation at the M6, M3 and M1/M5 deposits. 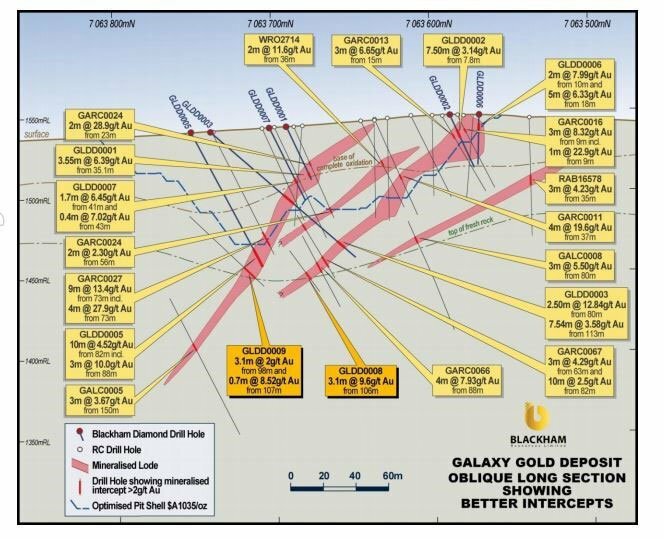 BLK’s geophysics will constitute BLK’s prime project as it moves into gold production (and sales) this quarter. 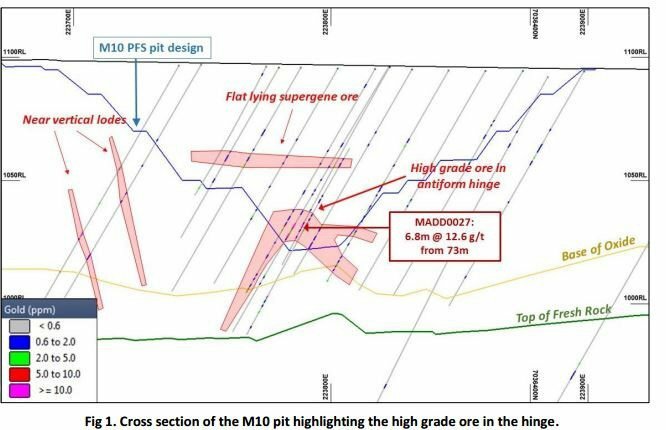 Shown below is a cross-section of Matilda, showing high-grade mineralisation in purple, and red arrows representing the strike potential from future drilling below the M2 pit. From its initial mine modelling, BLK is able to make a rough estimate of how much mineralisation it can potentially access. The purple areas represent mineralisation of 3.7g/t that’s currently outside BLK’s mining plan, while the red shaded areas indicate an average diluted grade of 5.2g/t, with around 77% outside the mining plan. Over time, it is a reasonable expectation for BLK to summarily add more resources and reserves — especially when considering BLK’s strong exploration record so far adding resources at just $6/oz. Combined, Matilda and Wiluna can potentially raise BLK’s production to over 230,000oz per year and pitch BLK’s EBITDA-target into the $105-130 million range. At the same time, this is no guarantee to eventuate, as this is a forward looking estimate that will depend on a few things going right which may be out of BLK’s hands. So invest with caution if considering making an investment here. The Stage 2 expansion study is due for completion by February 2017. One little outlier we most definitely like the presence of, and one that could come into commercial play for BLK sometime next year, is the Essex deposit. Essex has been the subject of some concerted drilling and assaying over the past 3 months — and some of the initial results are now in. One stop-off we must make when talking about a gold stock is the spot gold price. The price of gold has been on an upward trajectory since the start of 2016 due to a kaleidoscope of global factors including central bank policies and weakness of the US dollar. This renewed strength in gold could just be the start of a drawn-out up move that many stock bears have been patiently waiting for since the GFC. 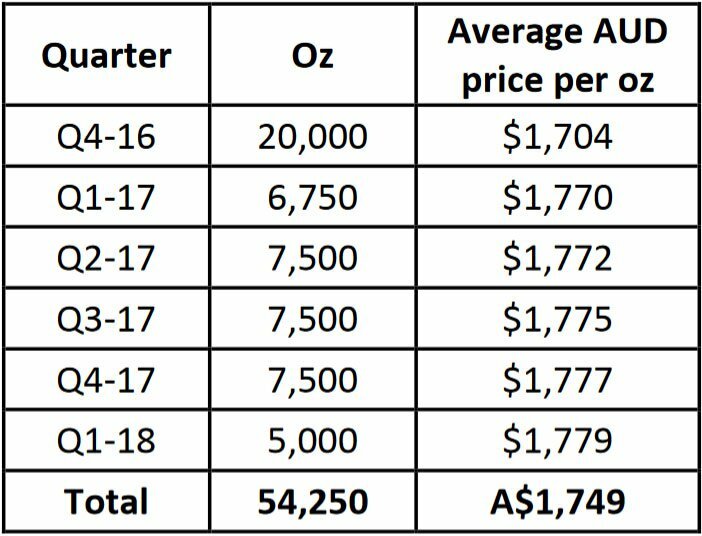 For BLK, its prospects are therefore largely de-risked because the mean-weighted average gold price for the past 5 years has been AU$1,520/oz. Bear in mind that at a production cost of $1,500/oz. BLK is forecast to generate an EBITDA of $52 million per year. If gold prices rise to AU$1,700/oz., BLK will be on-course to generate $72 million in EBITDA. In fact, every $100/oz. 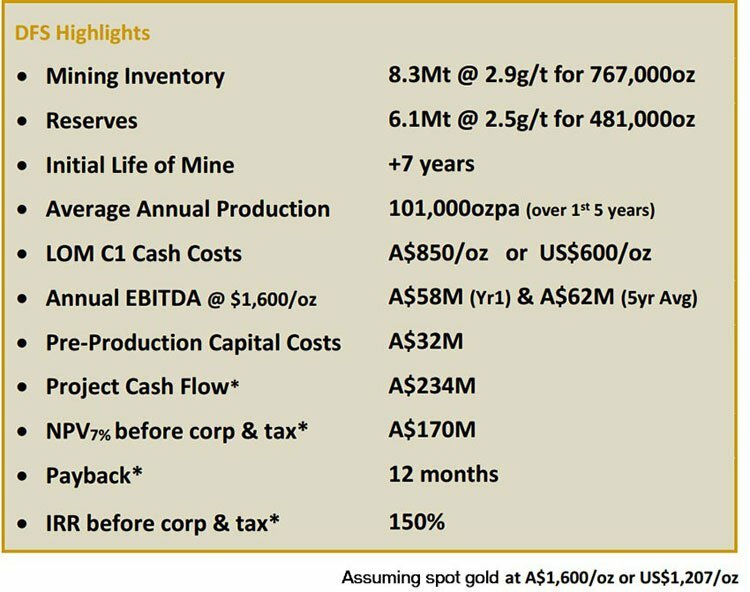 increase in the gold price adds roughly $73 million to BLK’s cash flow and $20 million EBITDA. However as experienced commodity investors well know, the price of gold can fluctuate fairly quickly, so it’s prudent risk management to lock in sale prices if you can – and that’s exactly what BLK has done recently with its recent gold sales completed at an average price of A$1,774 per oz . The company has locked in proportions of short to medium term production, in order to appropriately manage risk and have more predictable cash flows. With close to record high Australian gold prices occurring right now, this looks like a smart move to us. When we first wrote about BLK in May 2015, BLK was an early-stage junior explorer with lots of potential. But now just 15 months later, BLK has become Western Australia’s latest gold producer. Now it’s all about expanding production and better monetising its 5.1 million ounce resource. BLK’s rise has been a textbook story of strong project economics being progressed diligently and with ample institutional funding. The commercially strong DFS and subsequent Resource upgrades show that BLK is shaping up to be one of the most capital efficient and economically viable gold producers compared to others in Australia — that’s the kind of early-stage player we like to scout here at The Next Mining Boom , as our regular readers will well know. BLK offers investors an opportunity to back a junior gold explorer gradually transforming into a mid-tier producer... and its happening before our very eyes.